Following the completion of an unusually domed holiday home in Greece, we've rounded up 10 summer houses on far-flung Greek islands, including a modernist home inspired by Yves Klein's paintings and a once earthquake-damaged property restored using historical photographs. 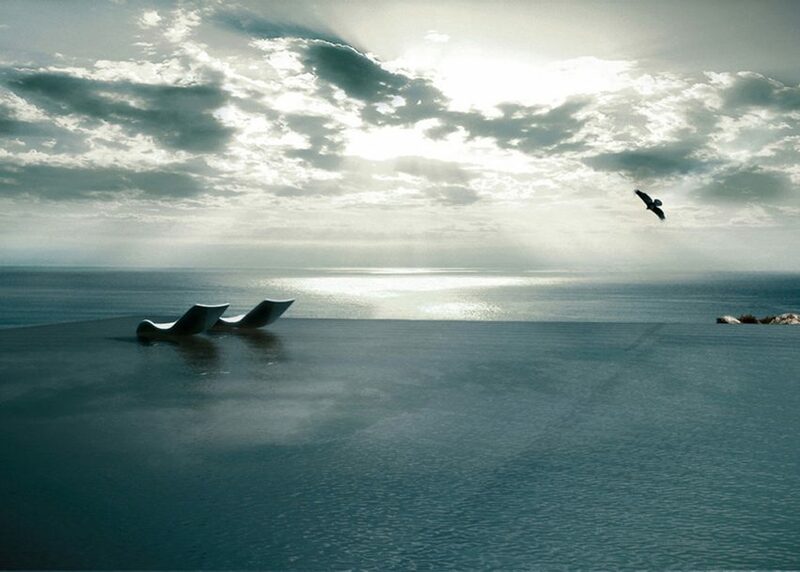 Olivier Dwek's modernist house perches above the coastline of Zante, a popular Greek holiday island. Its stark white design draws inspiration from the French artist Yves Klein, who is acclaimed for his monochrome paintings. 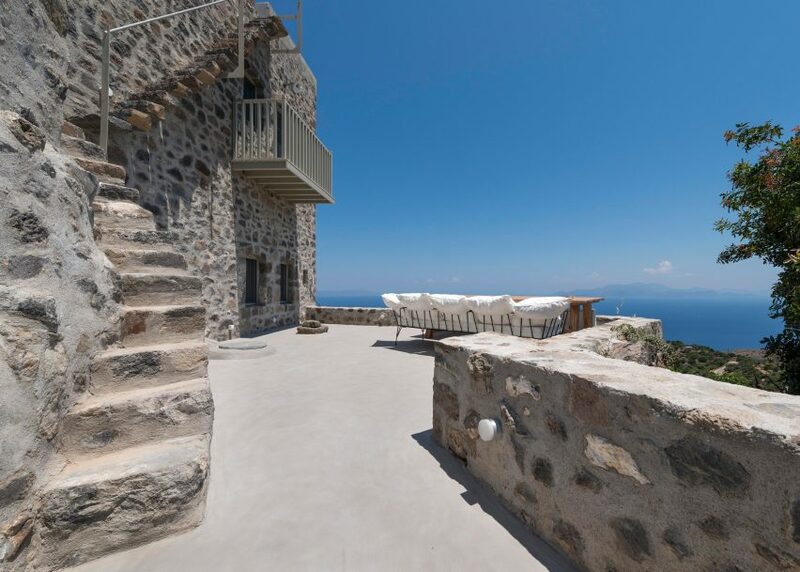 This rustic-style home on Greece's Aegean coast fans out to maximise views of the sea. The architects sought to draw upon the history of the region with the use of terrazzo, marble and plaster rendering, common to the area. 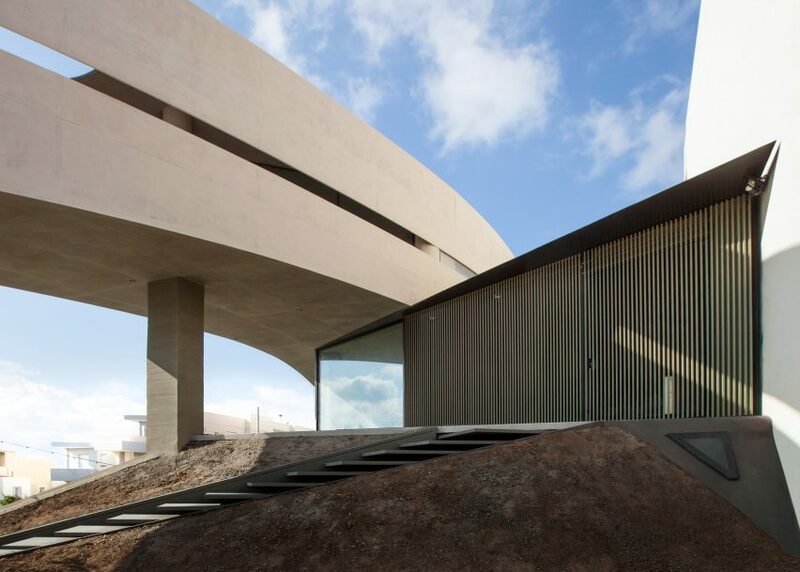 This curvy concrete home by Athens-based Tense Architecture Network features a large circular puncture to provide the occupants with a sheltered roof terrace. 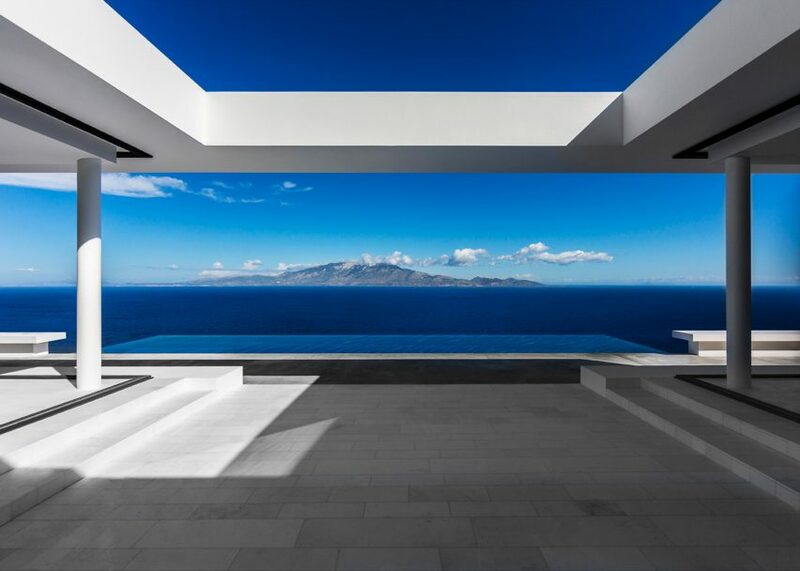 Located on the island of Crete, the residence frames the city's skyline from its hilltop position. 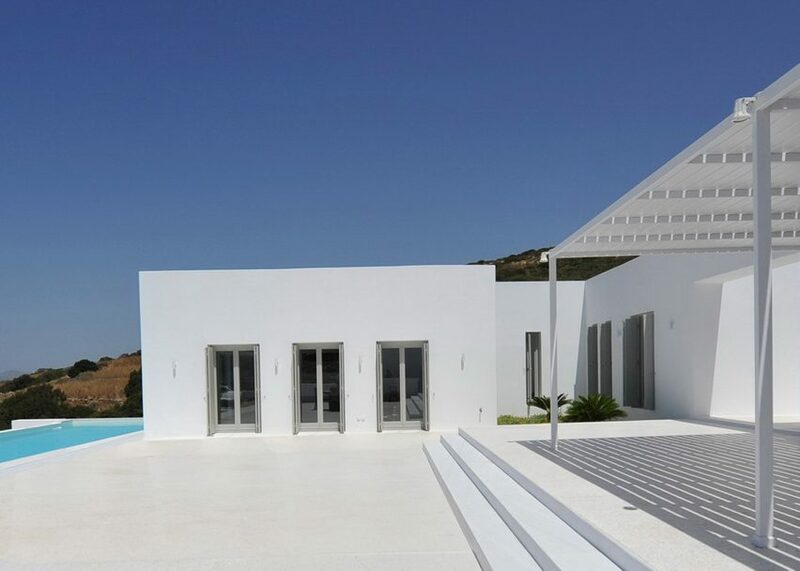 This weekend house by React Architects is set into the sloping landscape of the Greek island of Paros. 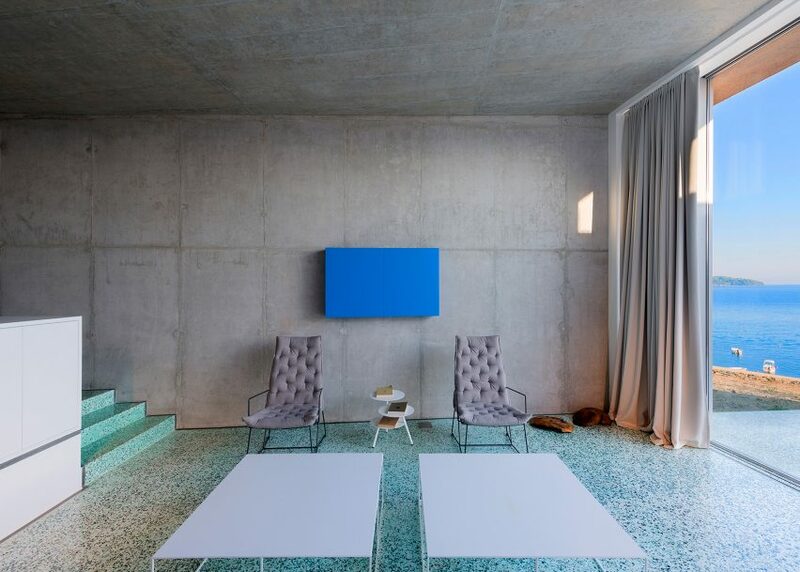 The home is laid out around a central courtyard featuring a swimming pool and terrace. The interior of this 17th century home on the island of Nisyros was painstakingly restored by designer Greg Haji Joannides, who used historic photographs as a guide for rebuilding the earthquake-damaged house. 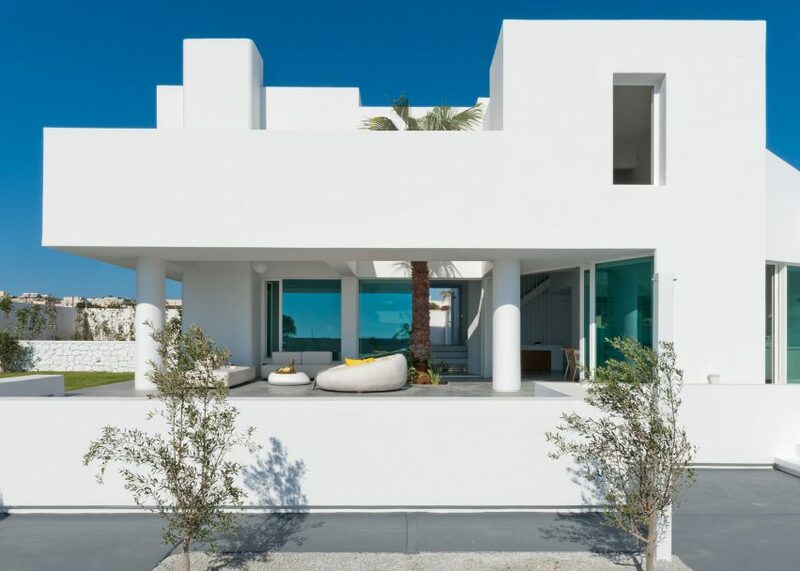 This bright white summer house reflects the traditional housing of the area. The staggered arrangement of the residence allows both sea views to the northeast and views of a local village to the south. Nestled into the cliffside, this idyllic holiday home features a garden complete with vineyard and orchard. The natural beauty of the site was important to the architects, who sought to design a home sympathetic to its environment. Kapsimalis Architects renovated this two-bedroom Santorini holiday home, adding a rooftop terrace for admiring ocean views and a swimming pool sunken partially into the rock face. This domed summer house by studio LASSA allows its owners to climb up onto its roof to admire Greece's Peloponnese peninsula. The concrete shell creates three separate courtyards, which all catch the sun at different times of the day. Although it hasn't actually been built, this residence deserves a special mention for its unusual design – featuring an infinity pool that forms the entire roof. 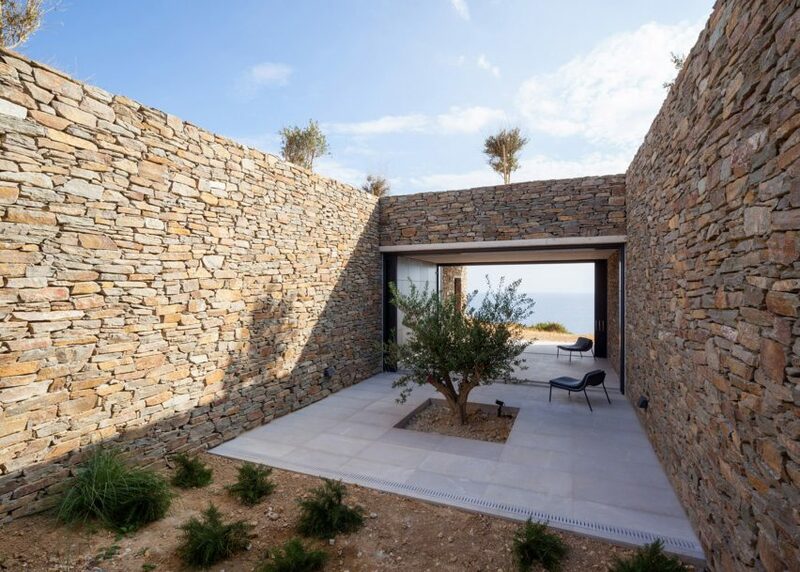 Conceived as an 'invisible oasis', the house would be partly buried into the landscape while allowing residents to enjoy panoramic views over the Aegean Sea.